Though I love T.S. Eliot’s way with words, I have to differ on his insistence that April is the cruelest month. 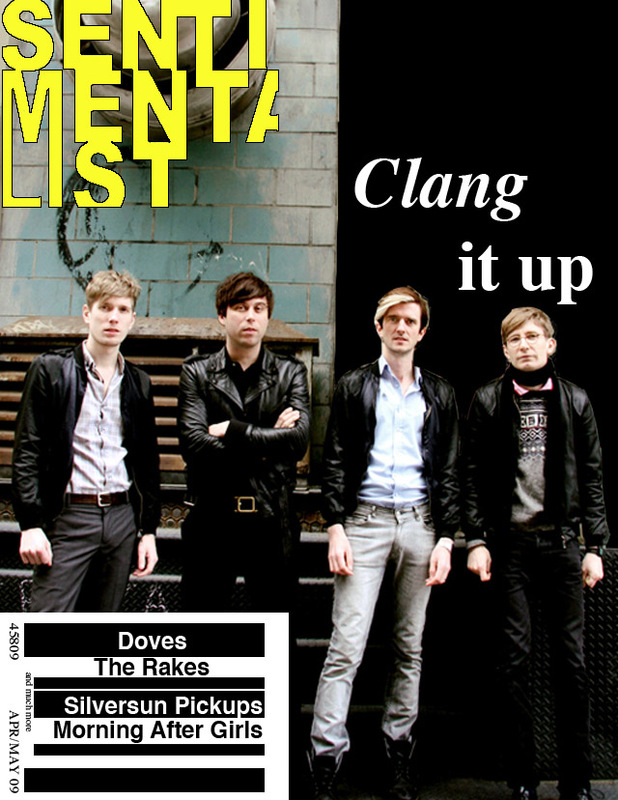 During the time this issue was being readied, that month brought The Rakes back to the States, released both new Doves and Silversun Pickups albums, and gave us another dose of polo ground awesomeness at Coachella. You can’t argue with that. Stay tuned for the music of May, which to us, means more than flowers. It makes sense that The Rakes’ newest release, Klang, recorded in a Communist radio station in East Berlin, was a precise piece of work that was edited and re-edited until the band felt it was just right. The Rakes make hyper-smart songs brimming with bits from history and daily life and always manage to seek out the extraordinary within the mundane. It was quite the honor to chat with Jez Williams, 1/3 of British powerhouse Doves. Having been around for almost two decades, it’s hard to believe they’re only on their fourth album, but when the boys like to record, they go to town. Another town, or village, (a converted farmhouse in Cheshire, England, to be exact) hiding away crafting a sound that has claimed and enchanted fans worldwide. An amalgamation of 90’s music royalty, Tinted Windows is inserting catchy ballads and fun rhythms back into pop music. This new “super group” is a fusion of Taylor Hanson, James Iha from Smashing Pumpkins, Adam Schlesinger from Fountains of Wayne and, oddly enough, Bun E. Carlos from Cheap Trick. Though this collaboration of musicians may seem unexpected, Tinted Windows have produced an album full of charisma, generated by super pop and novelty. Not only can Patrick Wolf successfully change musical directions but he can successfully change hair color and look just as good. His double-album release of this summer’s The Bachelor and part two, The Conqueror (due in 2010) is something of epic proportions, but after the wonderment of 2007’s The Magic Position, I would expect nothing more from Wolf.